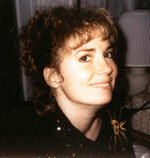 The Florida State Attorney, Bernie McCabe, filed two criminal charges November 13, 1998 against the Church of Scientology Flag Services Organization in the death of Lisa McPherson; practicing medicine without a license and abuse of a disabled person. These charges were dropped June 12, 2000 after McCabe decided that medical examiner Joan Woods' testimony could no longer be counted on due to her changing her ruling on the cause of death in Lisa's case from undetermined to accidental. 2) where certain people unrelated to Lisa's case are mentioned in a personal way, their names and personal information may be deleted. If you find such information on any of these please contact us . 3) much of the documentation is handwritten letters and reports, so these may or may not be translated. 4) some items might be insignificant enough to warrant only a summary in the index. 5) the LMT makes no claim for the accuracy of the OCR software's translation nor for the work of the volunteers who helped with the translations. This page is solely as an aid in research of the material and for those who do not have access to the tif files for whatever reason. If you wish to see the originals you may order the Lisa McPherson evidence cd from the Clearwater Police Department records department, 645 Pierce St., Clearwater FL 33756. The cost is $29.45 in the U.S. You may call 727-462-4242 for further information.